Living Area 1455 Sq. ft. Lot Size: 50x146 Square Ft.
Great location in Urban OKC! Walking distance to the Plaza District & close to Midtown & Uptown. 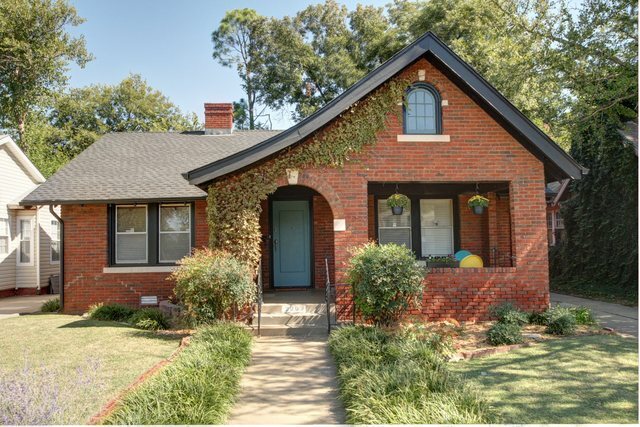 Beautiful character & charm in this historic Gatewood home. Original fireplace w/ mission style bookcase in living area. Original french doors leading into the dining room. Gorgeous refinished hardwood floors through out. Spacious kitchen w/ updated appliances & eating area. Walk-in closet between bedrooms. Additional living room w/ fireplace.